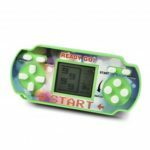 This retro mini 2 handheld game console will bring you great fun with built-in 168 classic games. 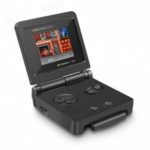 Built-in 700mAh rechargeable Li-ion battery for up to 5 hours of continuous gameplay. Use AV cable to connect the console to your TV and you can play games on the large screen. 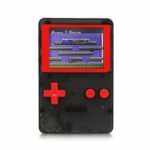 Mini 2 handheld game console, 3-inch large screen, built-in 168 classic games. Use AV cable to connect the console to your TV and play games on the large screen, bringing you more fun. 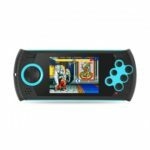 Built-in 700mAh rechargeable Li-ion battery for up to 5 hours of continuous gameplay. Small size and lightweight design, convenient for carrying. It&apos;s a great gift for your children.